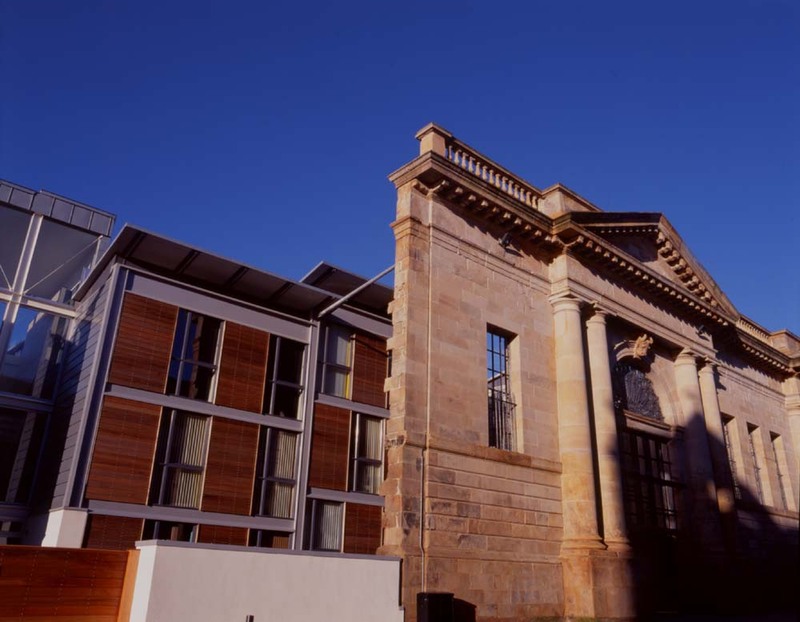 This project by Molendinar Park Housing Association involves low-cost housing by three high-profile architects within former sandstone meat market buildings. 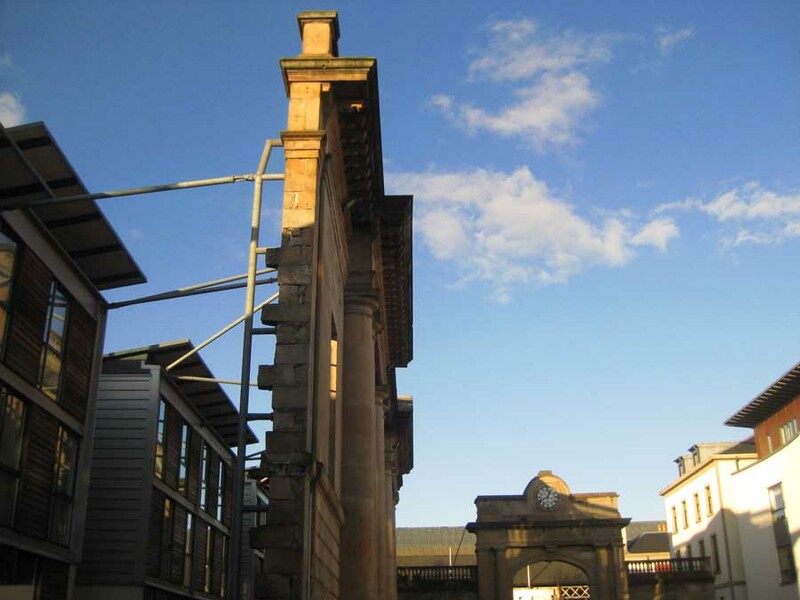 The original sandstone market elevation has been retained: instead of being used like wallpaper, the architects play a game by stepping their building away. The free-standing B-listed wall is pinned back using a support system devised by Ove Arup and the architects. This creates an unusual relationship and either a highly decorated wall or a very thin building: take your pick. 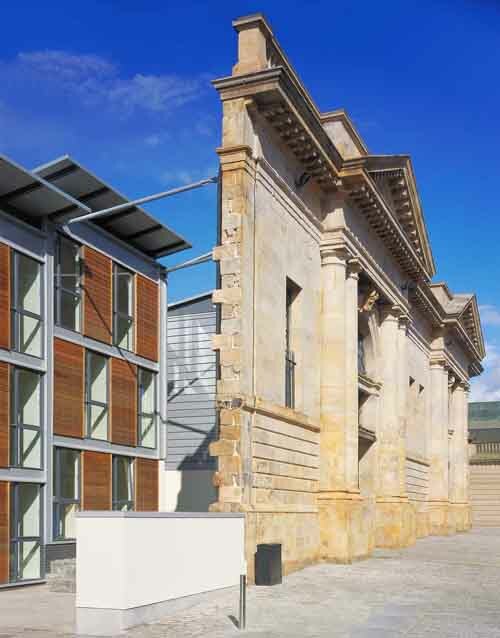 Other elevations are more free in conception and use industrial steel cladding with asymmetric fenestration. 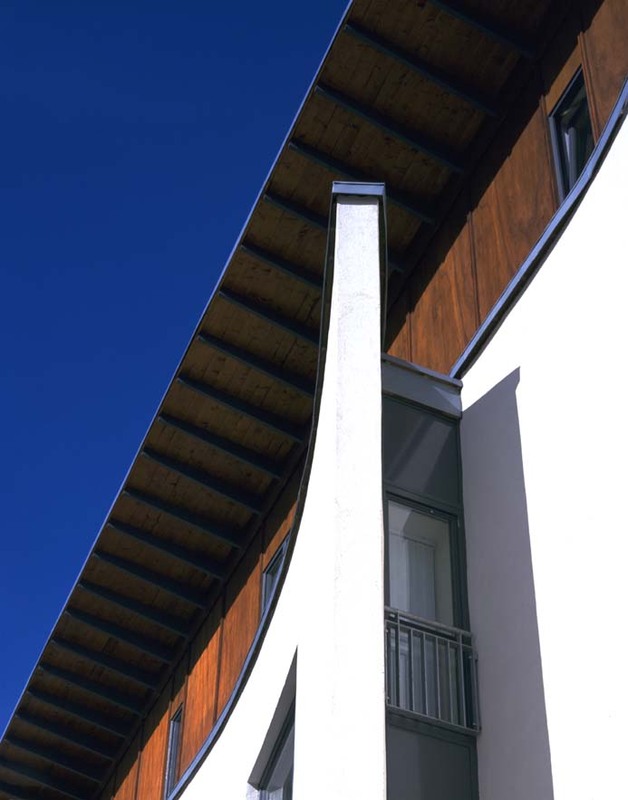 The butterfly roofs oversail the facades and the overall composition is subtle and full of repose. 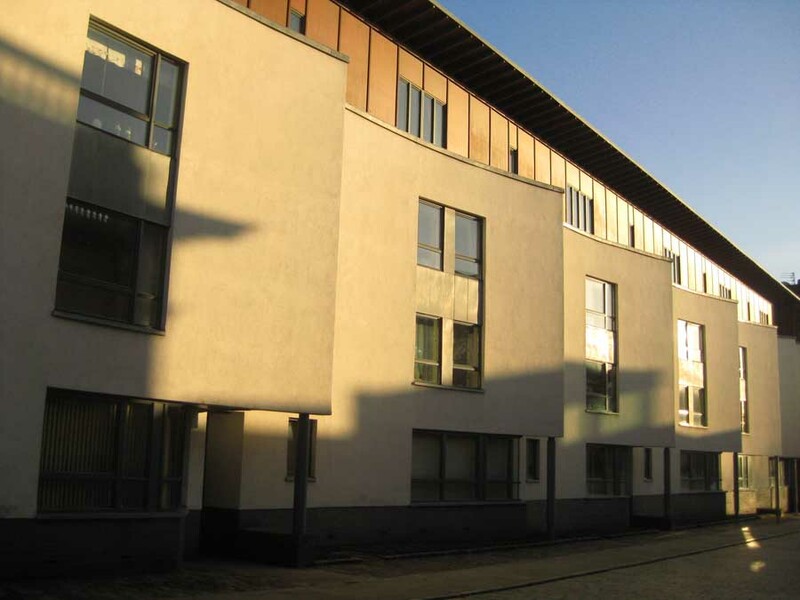 The route to the flat entrance doors is via a triple height glazed atrium space and the interior of the flats have several innovations including glazed winter-gardens and kitchens with opening corners. 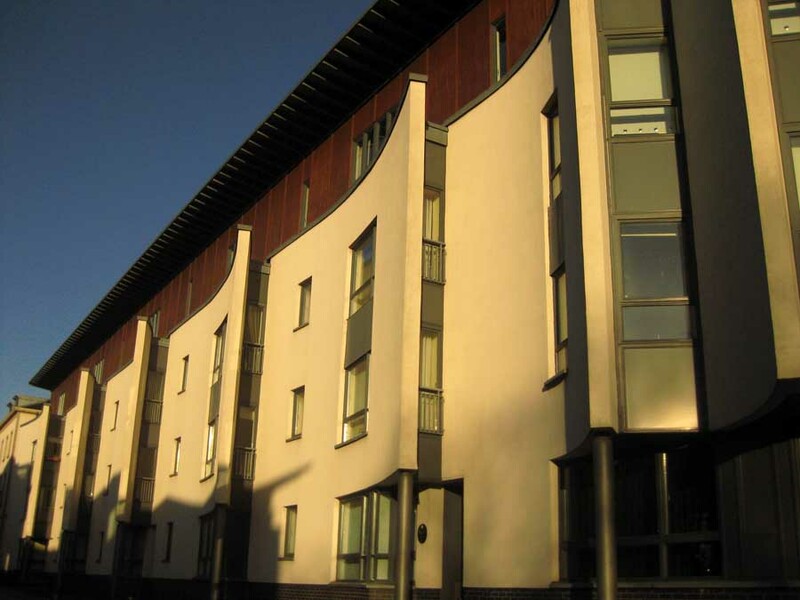 The £1.2m project comprises 20 flats (six for shared ownership and 14 for rent); a mixture of 2-bedroom and 1-bedroom types. 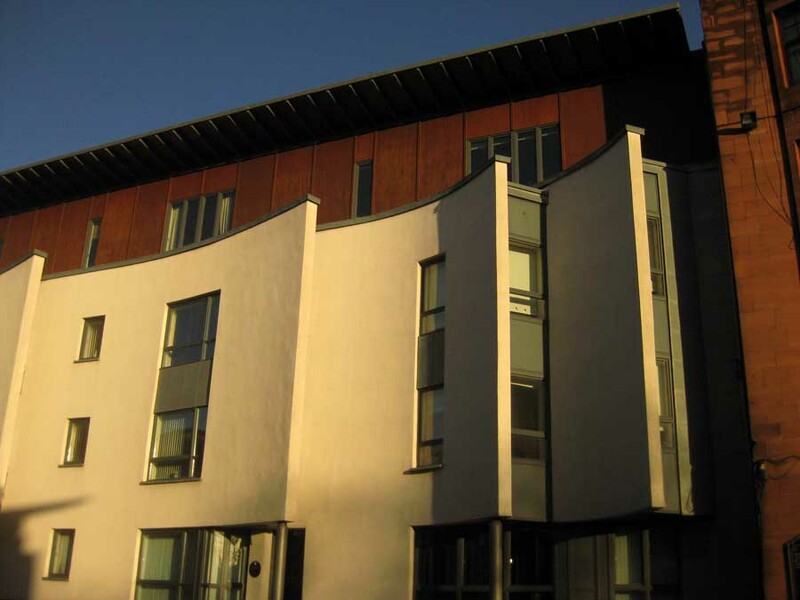 This scheme maximizes free energy gain and minimises heat loss through low ‘E’ glass and the use of glazed stair tower buffer zones which collect winter heat and are thermostatically-ventilated in summer. 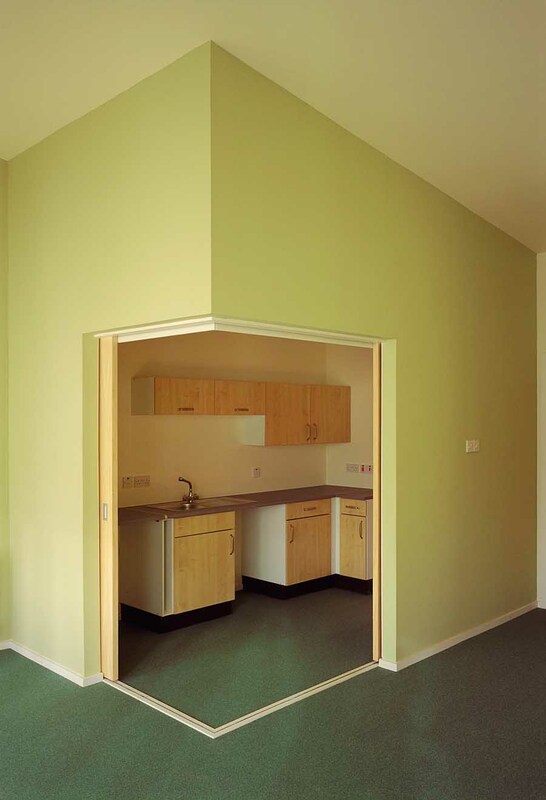 Portalised construction means load-bearing internal masonry walls are unnecessary and sliding doors allow for flexibility of internal arrangement. 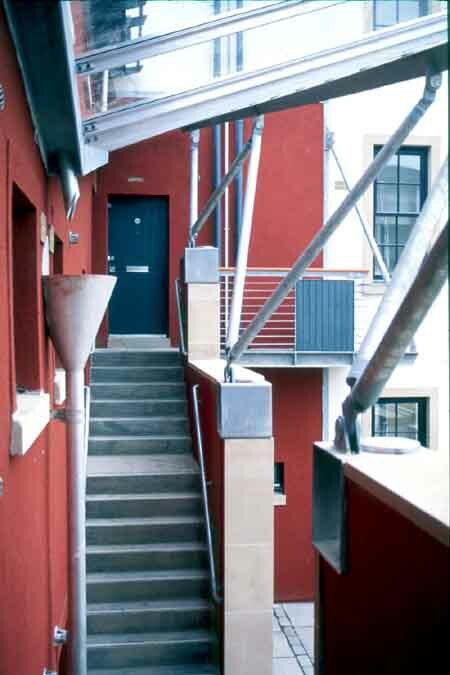 The 6m-wide space between the building and listed wall provides a buffer zone with the street: the wall’s openings also align with the stair towers beyond. The principal strategy was to orientate living spaces south and southwest with sunspaces fronting the living rooms. Bedrooms are generally to the east to take advantage of morning light. The glazed stair towers providing bright, visible common stairs for occupants in contrast to traditional enclosed common stairs. 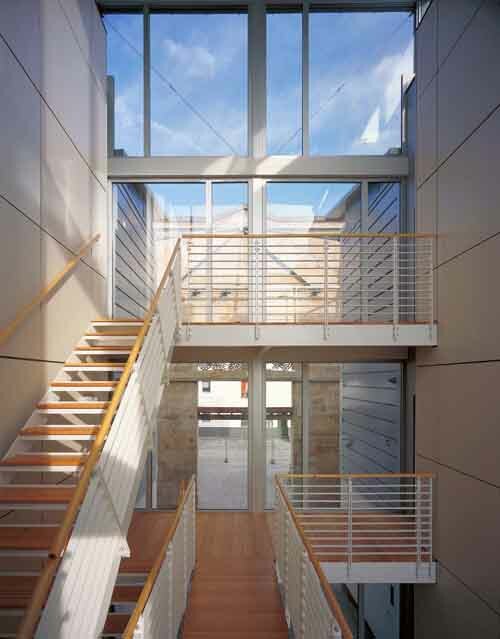 Internally, living/dining areas occupy the full external wall area behind the sunscreens. 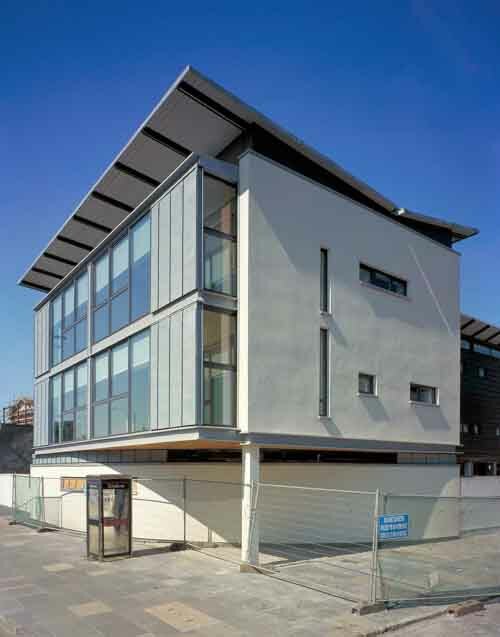 Portalised construction allows for the omission of internal masonry loadbearing walls and provides future flexibility. Kitchens can be joined to or closed off from the living spaces by sliding doors. 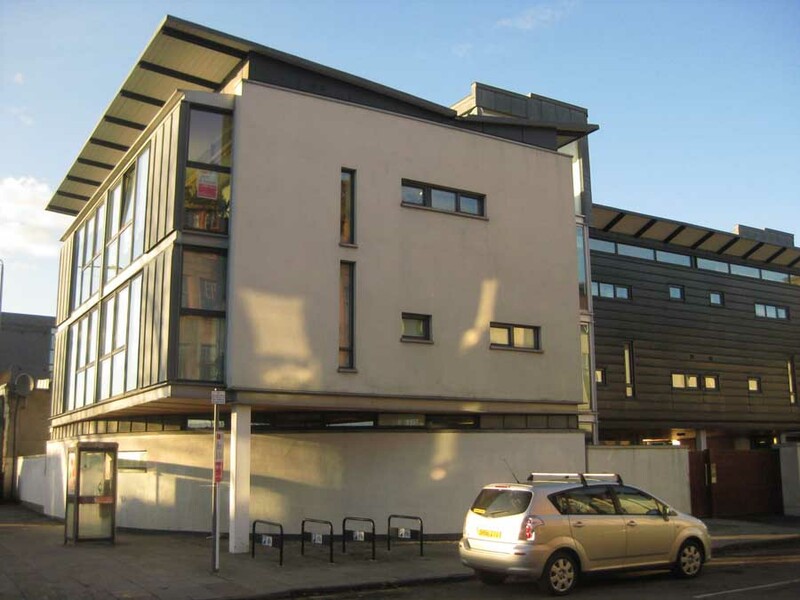 Flats with minimal external space have double-height living spaces. 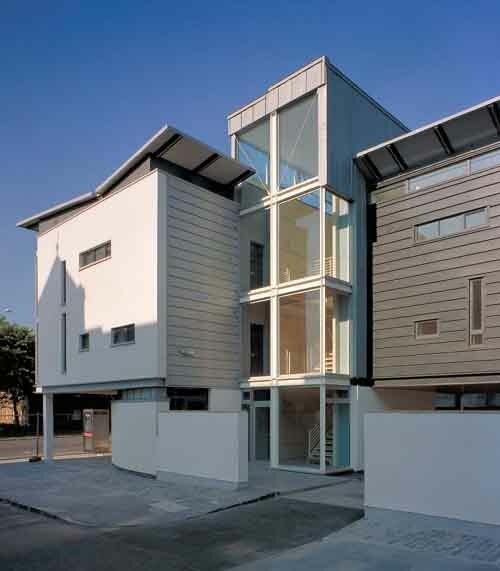 External materials include: roofs of zinc, walls rendered, powder-coated aluminium panels, cedar boarding. 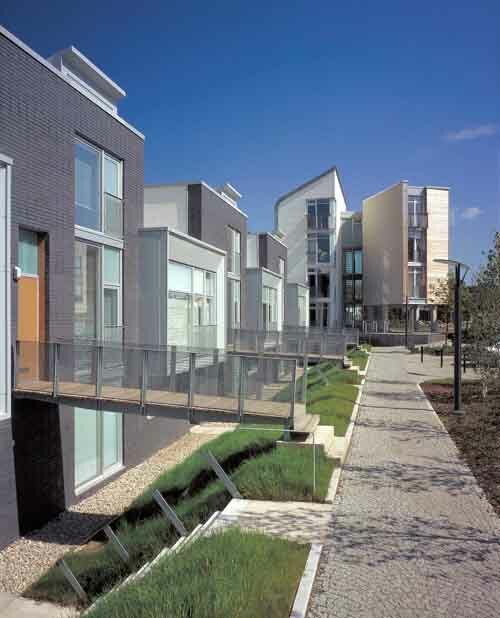 The Client, Molendinar Park Housing Association, was the Winner of the RIBA Client of the Year 2001. Describing the winning commission, the judges said, “Molendinar Park is an exemplary housing association which works by putting together teams of architects and getting them to talk to one another. 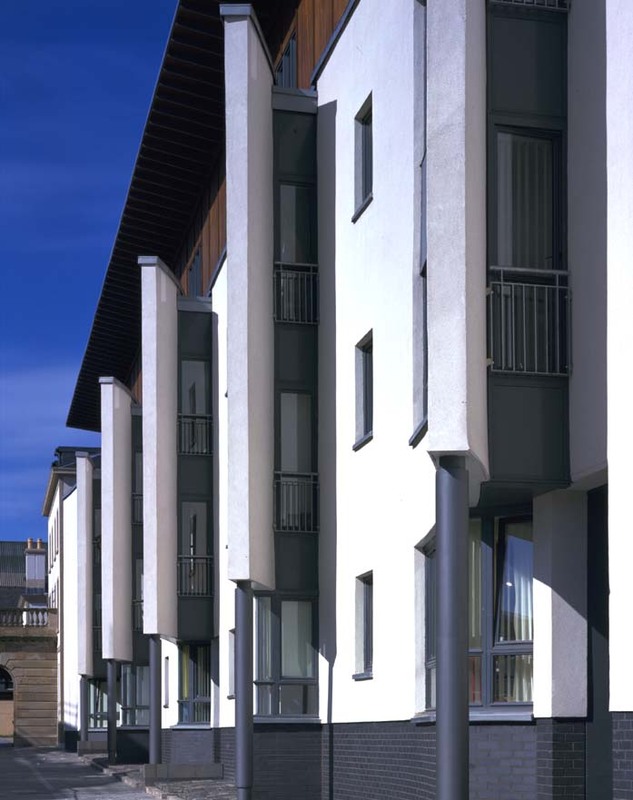 Graham Square is just the latest and most significant in a series of design-led housing solutions. 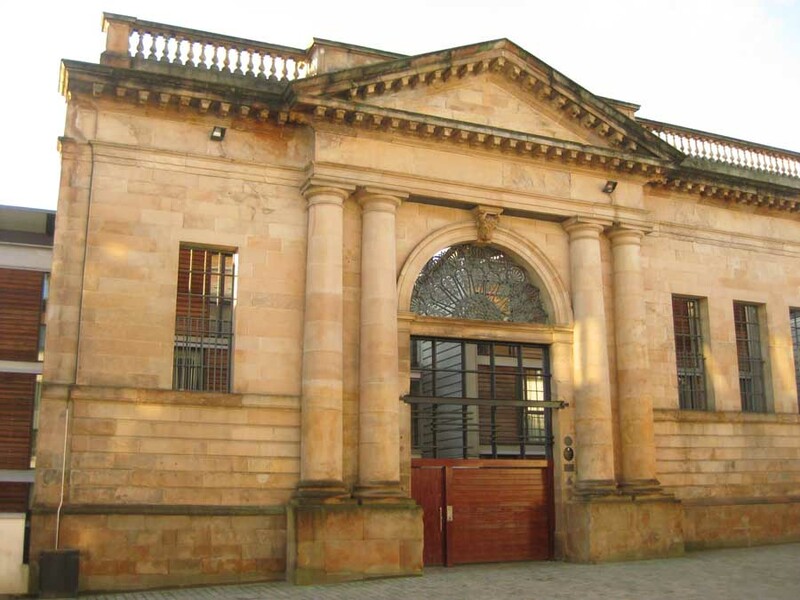 It resulted from an invited competition to build housing on the site of an old meat market in the east end of Glasgow. 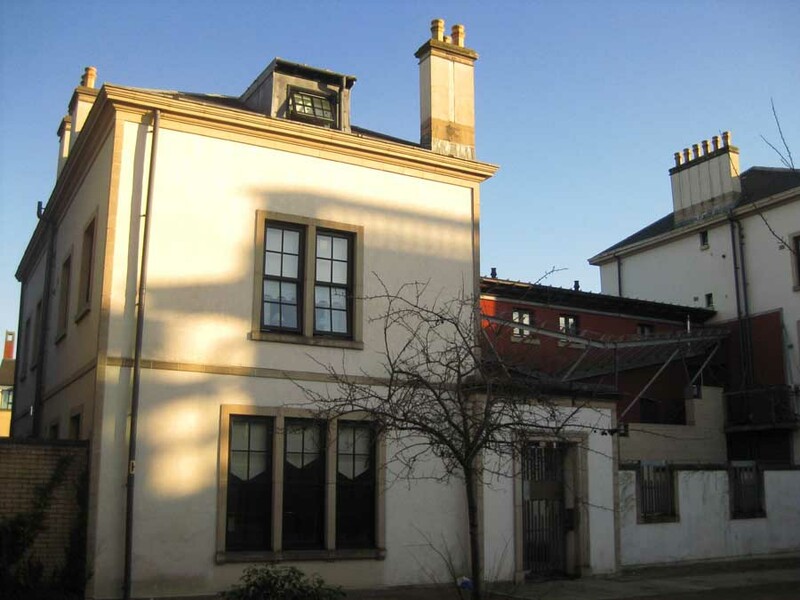 The Committee, chaired by Rob Joiner, was so impressed with the entries, that it commissioned each of the practices in turn to make their own distinctive contribution to this unique site. 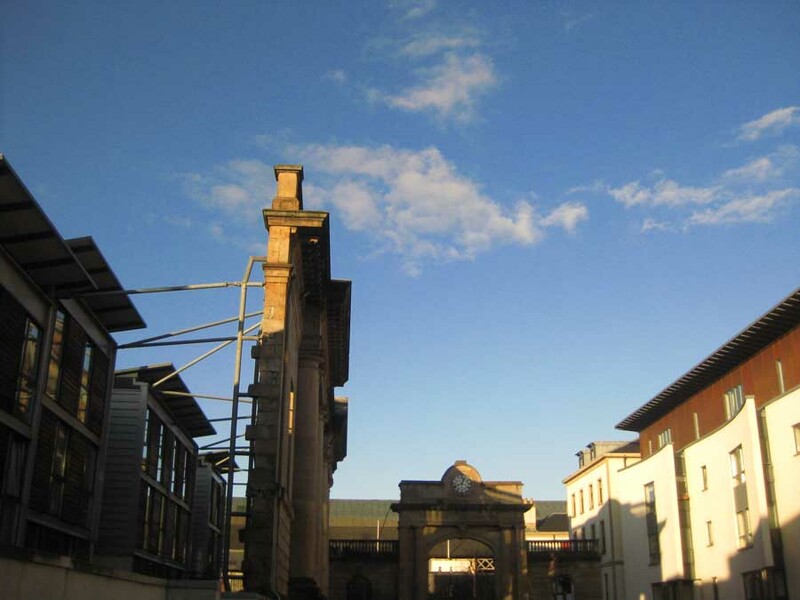 This site consisted of the derelict B-listed former Market Hotel – where traders lodged – attached to a surviving market archway: perfect material for Murphy’s trademark historical layering. 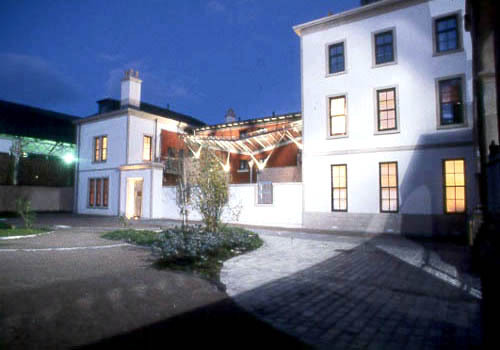 The centre section was in danger of collapse and the architects chose to replace this with a new three-storey structure set back from the original building line. 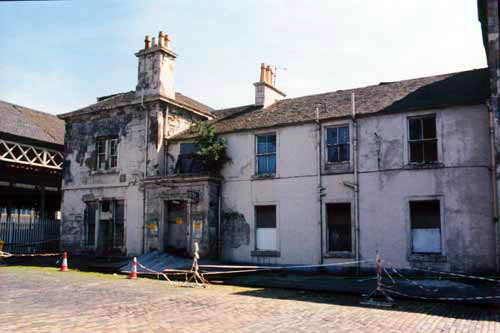 The two flanking wings were reconstructed to retain their frontages to Graham Square. 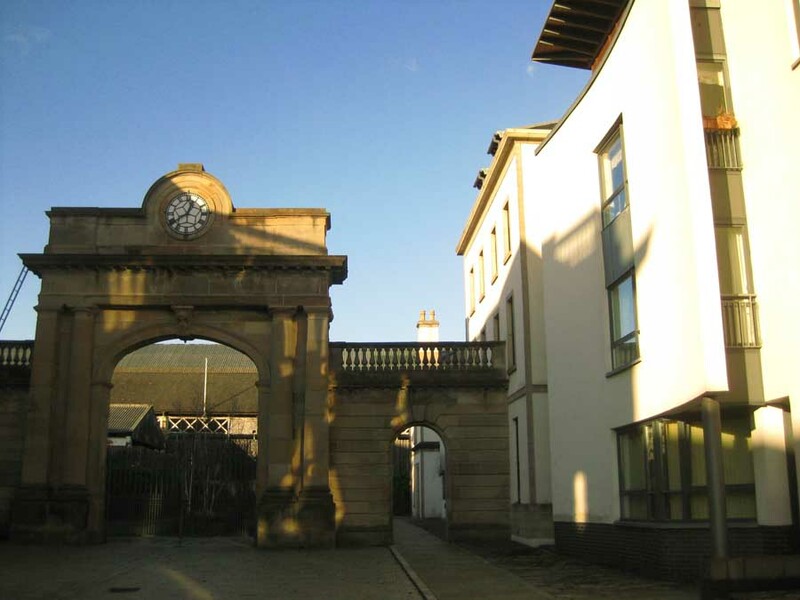 This arrangement creates a semi-private courtyard with the entrance from Graham Square through the old hotel entry now remodelled as a gate in the partially-demolished front wall of the old central block. 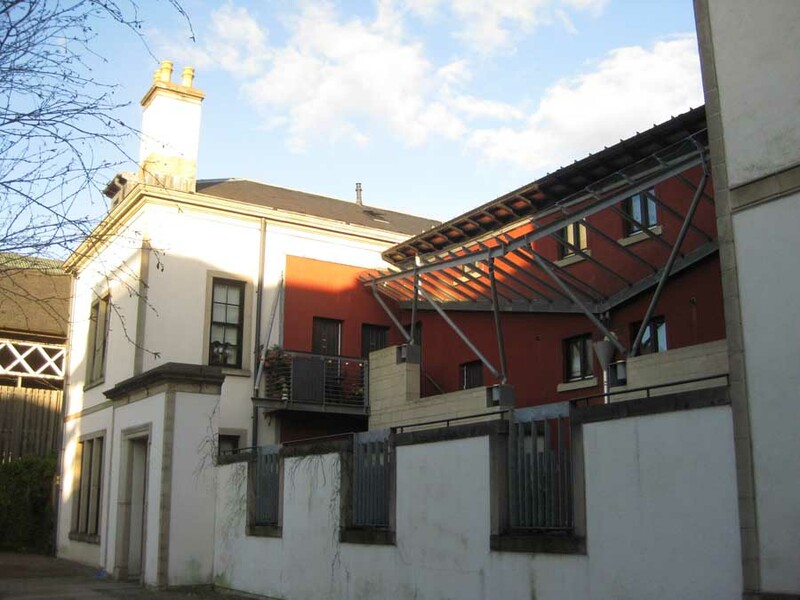 The project comprises of seventeen one and two bedroom flats. From the courtyard access to the flats is gained either directly – via a pair of symmetrical external stairs beneath a birdlike glazed canopy – or through a new common stair in the larger South wing. With the glazed canopy uplit at night the effect is probably more hotel-like than the original. Whilst the architecture might be relatively quiet the social experiment of replacing the usual tenement ‘common stair’ with an external stair within a common courtyard has been a success with tenants already populating the courtyard with plants and seats. 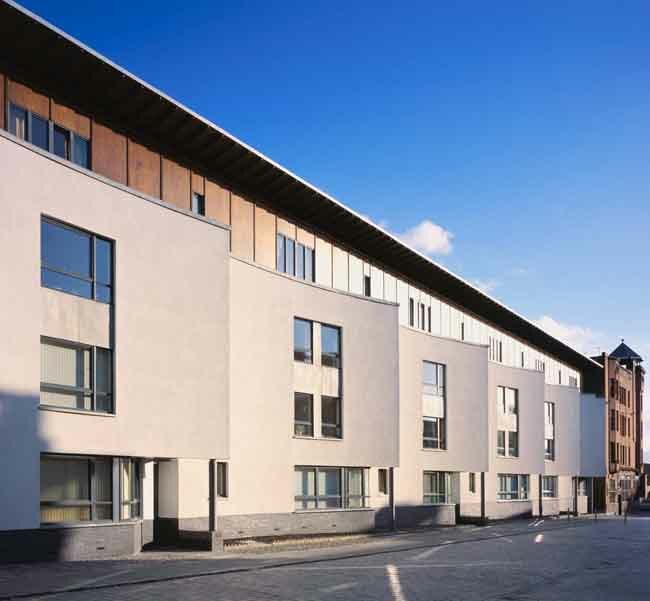 Molendinar Park Housing Association have returned in early 2004 to commission Richard Murphy Architects to design more flats at Graham Square, Glasgow, following their successful project there. RMA have also been invited by Molendinar Park to compete for the masterplanning of the area. 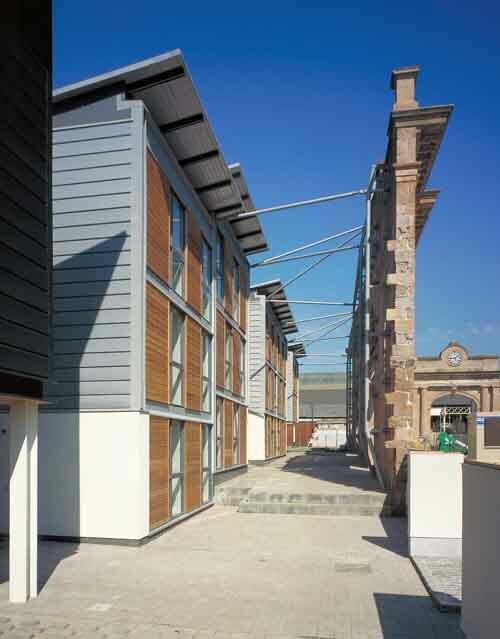 New Build 3 was a winning entry for a Scottish Homes Pilot Hag competition for a site, 2 km east of Glasgow cross, formerly the site of Glasgow’s abattoir and meat market. A great advert for well-designed, low-cost living. 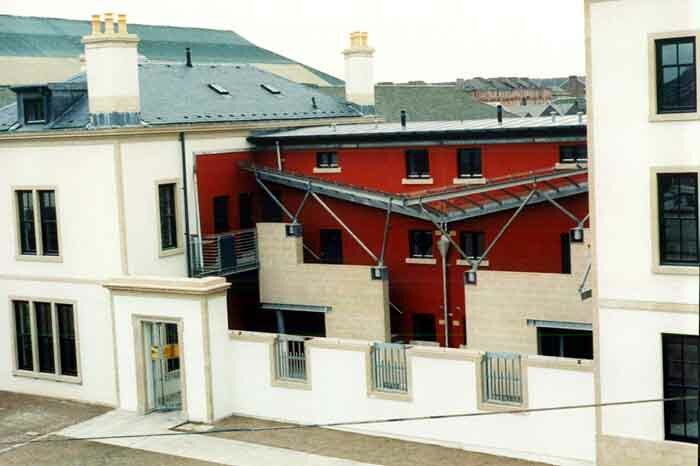 Extremely well conceived, innovative housing for the independent sector, with thoughtful retention of the existing meat market façade. 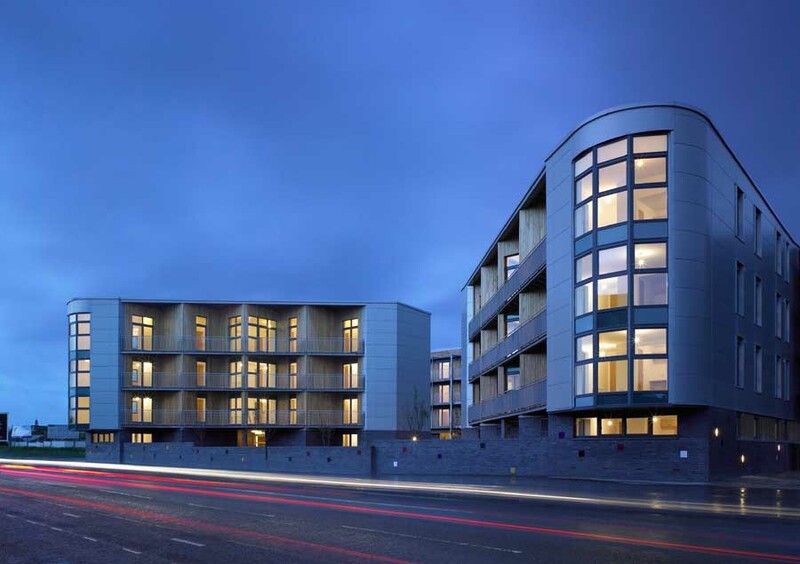 The projects acts as an exemplar – that imaginatively designed affordable housing can be life enhancing for all who live in it.